Over the last decades, air forces have always been the first military component engaged in all crises or conflicts, from the Falklands to the Gulf, from Bosnia to Kosovo, in Afghanistan, and more recently in Libya. Military aviation is undoubtedly the most strategic weapon today, both in terms of combat effectiveness and of critical technologies implemented. In modern warfare, air dominance from day one is a must, so that air-to-ground and air-to-sea operations can be conducted safely and efficiently. In the course of asymmetrical and counter-insurgency conflicts, the air arm also remains at the forefront of the military effort, its flexibility and firing power helping to ensure that allied forces prevail. The September 11 events have shown that, in peacetime, it is essential to secure the national airspace with easily deployable control and air defence assets. The decisive place of the air component in modern warfare is demonstrated by the defence strategies decided by those nations who want to keep a leading role on the world stage. 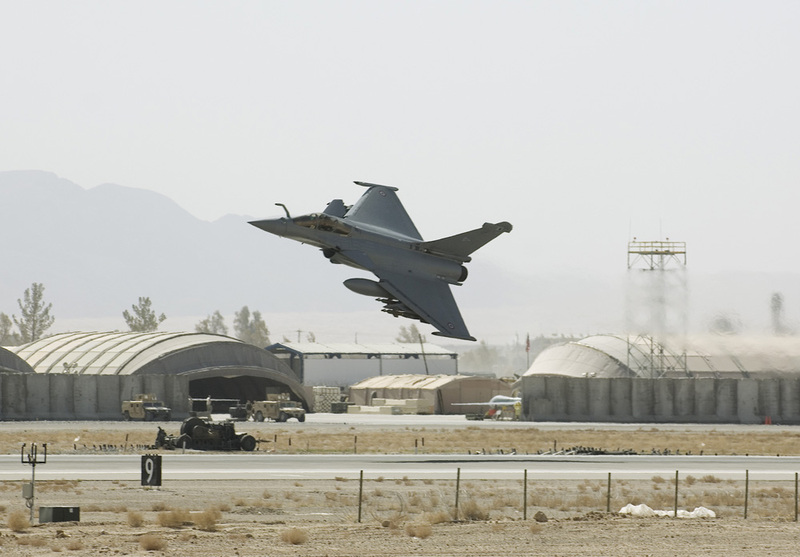 The RAFALE, with its “OMNIROLE” capabilities, is the right answer to the capability approach selected by an increasing number of governments. It fully complies with the requirement to carry out the widest range of roles with the smallest number of Aircraft. 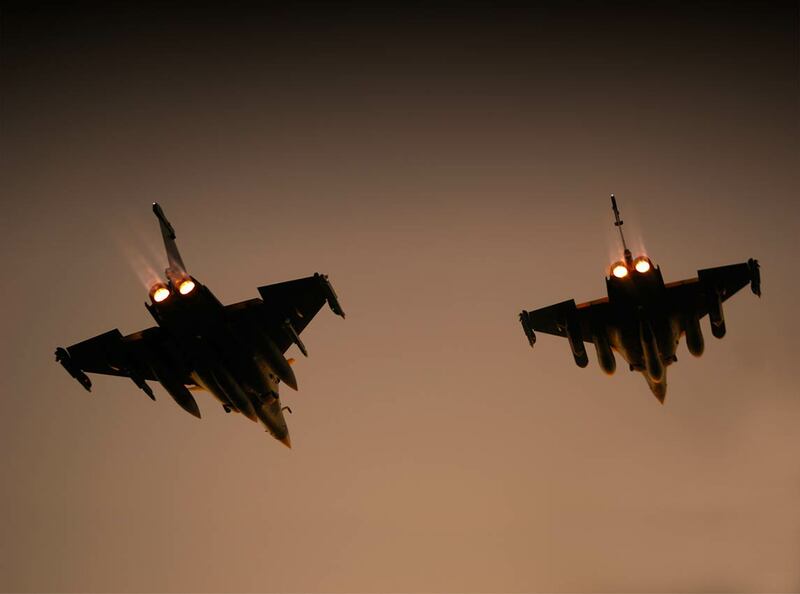 The RAFALE regularly carries out “Quick Reaction Alert” (QRA) / air-defence / air sovereignty missions, power projection and deployments for external missions, deep strike missions, air support for ground forces, reconnaissance missions, pilot training sorties and nuclear deterrence duties. The Air Force single-seat RAFALE C, the Air Force two-seat RAFALE B, and the naval single-seat RAFALE M feature maximum airframe and equipment commonality, and very similar mission capabilities. “Survivability”, that is the capability to survive in a dense threat environment thanks to stealthiness and / or to advanced electronic warfare systems. The OMNIROLE RAFALE combines all these advantages: it is relevant against both traditional and asymmetrical threats, it addresses the emerging needs of the armed forces in a changing geopolitical context, and it remains at the forefront of technical innovation. Thanks to its versatility, its adaptability and its ability to meet all air mission requirements, the RAFALE is the “poster child” transformational fighter which provides a way forward to air forces confronted to the requirement of doing “more” with “less”, in an ever-changing strategic and economic environment. 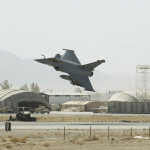 Of a moderate size, yet extremely powerful, superbly agile and very discrete, the latest type of combat Aircraft from DASSAULT AVIATION does not only integrate the largest and most modern range of sensors, it also multiplies their efficiency with a technological breakthrough, the “multi-sensor data fusion”.